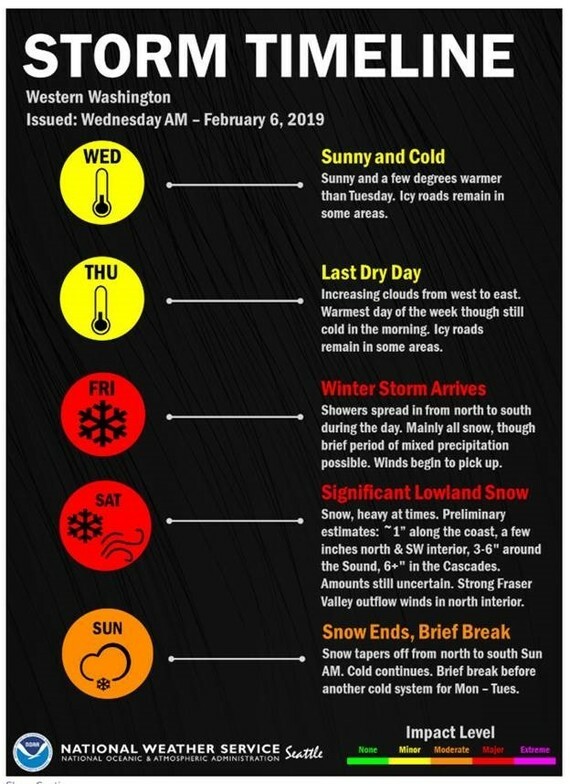 (Port Orchard, WA) - The National Weather Service is predicting more winter weather starting tomorrow. County road crews are on standby for the response. Check the County's Inclement Weather page for updates about road conditions and facility delays or closures. You can also sign up for automated updates by text or email on the bottom of the page.